Below, you’ll find a list of IoT market reports and white papers covering various IoT related topics. We provide both general IoT industry reports as well as targeted reports on specific IoT segments such as IoT platforms or Smart Home. 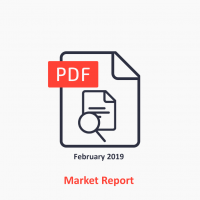 All of the IoT market reports are based on extensive research, expert interviews and deep data analysis. If you are unsure or want to discuss content or specific results, please get in touch with us. Get in touch if you are interested in a subscription to our IoT research stream including all reports and lists.